The Harmony Headlands State Park - opened in 2008; it takes a bit of walking to get to the beach here, but that's half the fun. 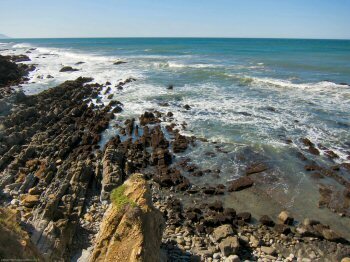 This state park is an interesting exploration of an unspoiled California coastal environment. 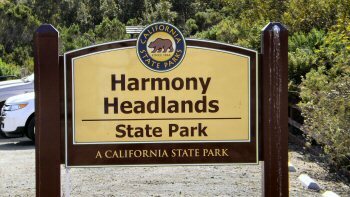 The Harmony Headlands Park is found just off Highway 1 between Cayucos and Cambria. The sign shown here is parallel to the roadway and it is quite easy to pass right by and miss this place. The parking area is quite small and so there's really not much to attract your attention. Keep an eye out as they will give you about 1000 feet of warning allowing you time to turn into the parking area. Once you park, read the signs (no dogs, no camping, no fires), you will be right on the trail. The beach is a moderately easy 2 mile hike from the parking area. 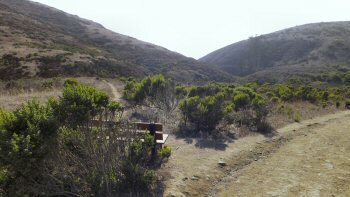 Easy changes in elevation and unless it's recently rained, the trail is in good condition. Be aware that this is a fairly primitive state park. There are restrooms available - they are approximately 1/4 mile in on the trail and nothing after that. Cell service is sketchy. There is service at the trail head and several hundred feet further, but most of the way there are no bars. On the trail to the beach, there are interesting sights which will vary according to the season. Summer and Fall will be dry, but once the rainy season begins, there are seasonal lake and wetlands with turtles and frogs. It is off the trail, so you'll have to use your binoculars. Now for the payoff! You've finally arrived at the ocean and are rewarded by this grand sight. But the view isn't the only benefit here. 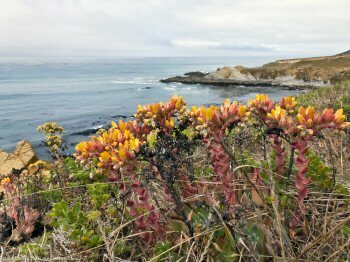 Wildflowers, tidepools, birds, otters and the whole sweep of this marine terrace environment. Given the hike required to get to this beach, you'll find that it is certainly not crowded. If you are adventurous, you might even want to pack in a picnic lunch and imagine that you're the only people in the world, at least for a while. The coastline here is rocky, and certainly not a good beach for swimming. 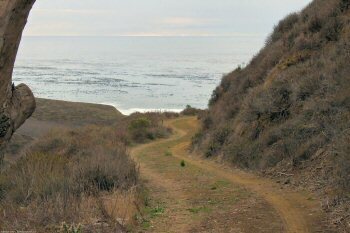 It is really a preview of the Big Sur coastline which starts in earnest a few miles to the north. 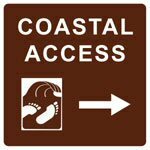 Whether your main interest is the hike, birding, mammals, botany, photography or tidepooling - this little gem of a park is a great place. Just be sure to allow enough time for this one.